Jesus, what a lousy week on DVD. X-Men Origins- Wolverine: I loved X-Men and X2, loved them out loud, and then the series lost me entirely with the insipid, Ratner-helmed X3: The Last Stand. Nothing I saw from or heard about Wolverine made it sound like anything that would return me to the fold-- least of all Ebert's review, which should be tempered with the knowledge that he even liked X3. Easy Virtue: This great-looking adaptation of Noël Coward's classic play starts of well, and includes a humdinger of a performance from Colin Firth. But Jessica Biehl is woefully miscast in the leading role, and the film is too wobbly to support the third act's turn to the serious. 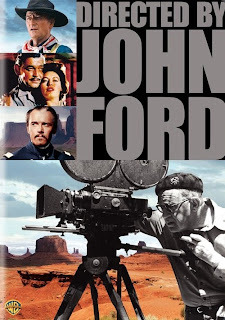 Directed by John Ford: The best new release of the week is Peter Bogdanovich's documentary portrait of one of the American cinema's finest filmmakers; he reworked his 1971 film in 2006 with new interviews and came up with a brilliant pastiche that mixes impressions from several of Hollywood's late, great legends (including the man himself) with iconic current directors like Scorsese and Spielberg. Well worth seeking out.